Located in Nokomis, Florida Gulf Harbor Marina is a full-service marina facility near the Venice inlet. The existing website needed to be designed to be compatible with mobile browsing. Panorama photography of the marina was needed as well. 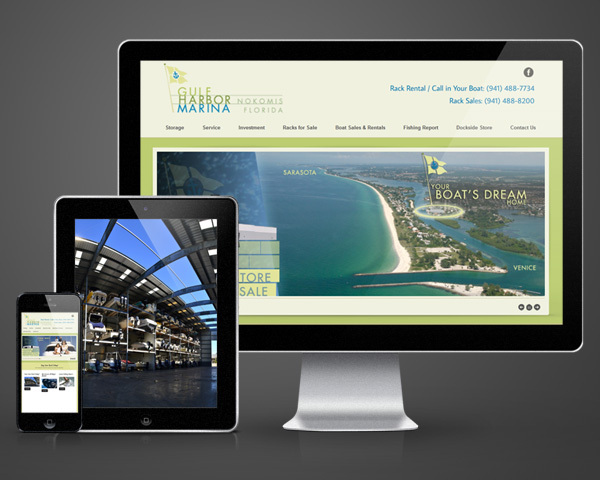 Sarasota Design designed the identity, website and layout. Next we implemented the design into a website management system that allows the client to make changes on the fly.